If you want a brief summary of who I am, my main adjectives are: funny, semi-nerdy, clever, goofy, witty, blunt, optimistic, efficient, confident, curious, loyal and in-your-face. I am a 100% certifiable grade A dork and I am I proud of it. Spending time with me has been likened to the feeling one has on a roller-coaster; outrageously fun, unpredictable, very addicting and there’s always a long waiting line! =) If you are pressed for time, there ya go! Get on outta here! 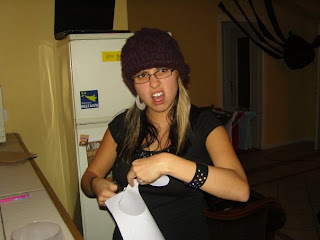 If you are still curious about me and my story or you are in stalker mode…..READ ON. As I said above, I am Texan, born and raised. YeeeHaw! I hail from the lovely city of San Antonio! I received my undergraduate degree in Diplomacy & World Affairs from Occidental College in Los Angeles, California. I planned on going to law school but wanted to take a year off before applying … I’m so glad I did! 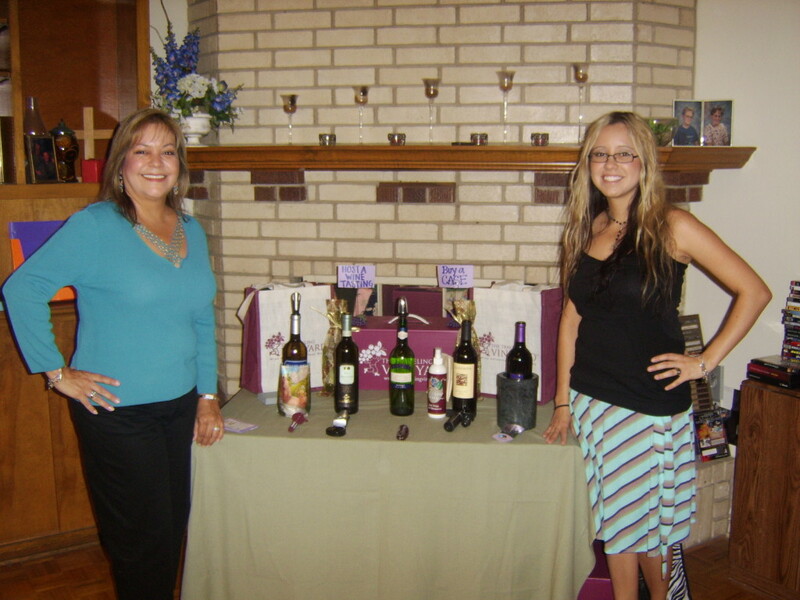 During that year off, my mom and I signed up with a company doing in-home wine tastings. During that time I fell madly in love with wine. I was about to send off my law school applications when my mom told me, “You can always go to law school. FOLLOW YOUR PASSION!” =) And so I did! I set out on a quest to find some kind of Masters program in wine because I really wanted to get my Masters. 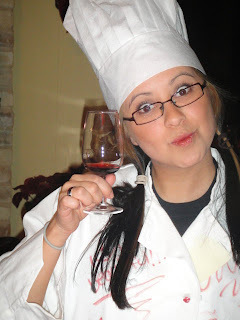 I ended up finding a masters program in France, which didn’t seem like a bad country to get a wine education in, they know a thing or two about winemaking ;) With that, I packed up my bags, spent 3 glorious years in France. The first year was spent learning french at the Alliance Francaise in Lyon and the rest was spent completing my Masters (MSc) in Wine Business at the Burgundy School of Business in Dijon, France. I collect zebra print! It is an obsession really. My favorite singers are Frank Sinatra, Billie Holiday, and John Mayer. Favorite music genres are jazz and funk, but my Spotify list has a bit of everything. Favorite movies: ‘The Sound of Music’ & anything with Jim Carey or Will Ferrell. Favorite movie genres are comedy, musicals, and black and white films. I have, and had, the cutest welsh corgis ever! My first was Dolce and my second is Vita! I HATE chocolate. I am not a fan of desserts/sweets in general. Favorite magazine is Food & Wine. My favorite wines to drink: Bubbles, Amarone, Valpolicella Ripasso, dry Sherries, Vin Jaune. I HATE shopping, except for wine, food, and party/event stuff. I love to plan events/parties! I have a keen attention to small details and have a great memory, leaning photographic. I have intense and extremely vivid dreams. It took me an extra 20 days, a 16 hour labor, and forceps to be birthed into this world. I am the oldest of 3 children and have the oldest child syndrome real bad. If you are into zodiac, I am 100% Aries. I am lucky to call my parents and siblings my best friends! I definitely laugh at my own jokes. I am the comedian and the audience! 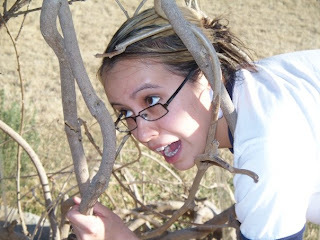 I graduated Valedictorian status in high school; this explains my semi-nerdy side. My lucky number is 13. Favorite colors are black and white. I am Mexican with deeper origins of Italian, French, Spanish and Native American. Among the many lovable adjectives about you, I especially respect and highly admire “loyal and in-your-face,” which is rare. A gentle, yet, assertive way of communicating is truly a tactful way to convey a truth. Hi Cecilia! Do you remember us? We are so excited for your advancements in wine education and certification! Good on you mate! Martha and I are hosting another Vintners Dinner at the Brownwood Country Club on October 13 which is a Saturday. We would dearly love to have your involvement if this is something you are interested in doing! Hope to hear from you!